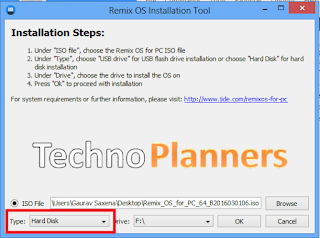 Official Tutorial - Remix OS Beta: How to Dual Boot Windows Android as a Desktop Step by step with Snapshot. 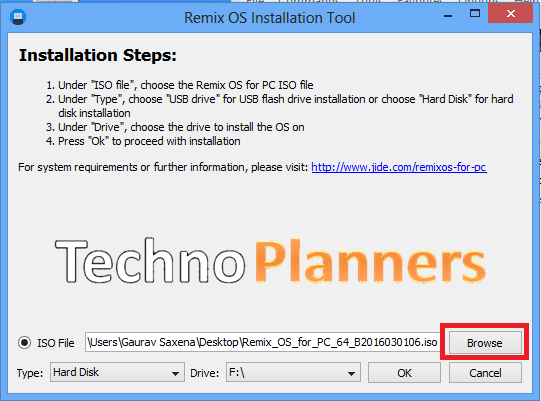 Now You can install and Run Remix OS alongside with Windows 7, Windows 8 and Windows 10. A Remix-OS Beta version based on Android 5.1.1 Lollipop. Now it supported 32-Bit Process but only for Legacy Machine and 64-Bit Supported for both UEFI and Legacy machine. 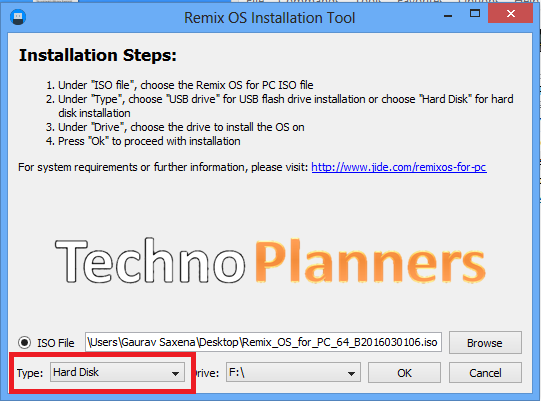 Jide make a tool to install it on your PC but at this time this tool only works with Windows Platform. 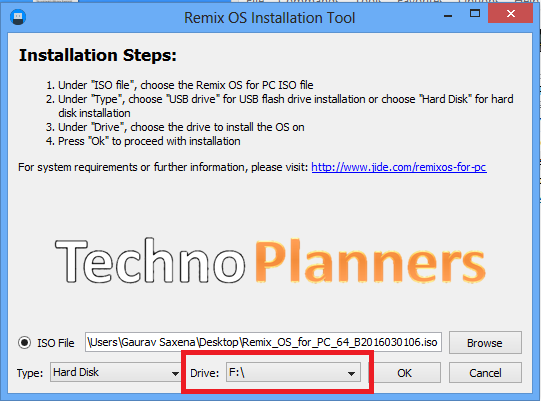 Open extracted folder and Run remixos-installation-tool. Press special key (F12 for Dell, F9 for HP, F12 for Lenovo) while booting to enter boot menu and ensure that Secure Boot is disabled. Otherwise, it will be failed to boot Remix-OS. 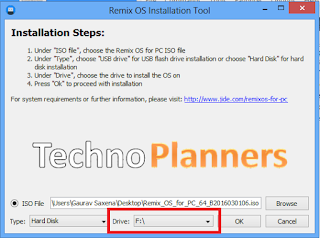 Find and Run UninstallRemixOS file. It will show a popup message "RemixOS is currently installed. Remove the existing version?" Click on OK button. The Jide hasn't provided officially Play Store and Google Play Services Application on the remix-OS-beta due to some reason but you can install it manually. Please Check out How to install Google Play Store and Play Services. 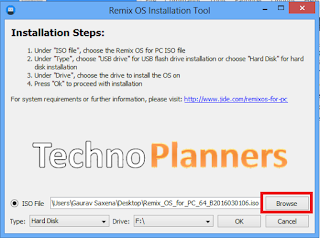 Congratulation, Now you can Enjoy Remix OS on your Windows PC with Windows actual dual boot. Please share this Tutorial with your social profile.